MADISON – DATCP Secretary Ben Brancel and New York Department of Agriculture and Markets Commissioner Richard Ball today urged USDA to assist in providing urgently needed assistance to the Wisconsin and New York dairy industries victimized by Canada’s recent actions to shut down the ultra-filtered milk trade from U.S. producers. Canada recently informed major Wisconsin and New York processors that they will no longer have a market for ultra-filtered milk. In Wisconsin this action impacts about 75 farmers, leaving them with no buyer for about one million pounds of their hard-earned daily milk production as of May 1st. 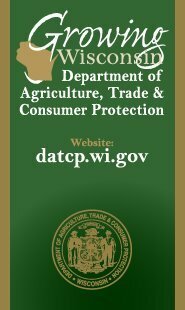 Brancel said he and his DATCP staff are doing everything they can help these Wisconsin producers market their milk and support them during this trying time. “If these multi-generational farm families cannot find another market for their milk, they will be forced to sell their cows and go out of business,” Brancel said. Wisconsin is home to 9,236 dairy farms, more than any other state in the country with 1.28 million cows. 96 percent of Wisconsin farms are family-owned, with an average number of 138 cows per farm. Dairy is the largest segment of Wisconsin agriculture; of the $88.3 billion economic impact of agriculture, $43.4 billion is generated by the dairy industry, including 78,900 jobs. New York exports more to Canada than to any other country in the world. Last year, the bilateral trade relationship totaled $32.93 billion in goods and supported over 500,000 jobs regionally. New York’s dairy industry is the State’s largest agricultural sector having almost 5,000 family-run farms that are home to over 618,000 cows, resulting in an average of 128 cows per farm. In 2015, the dairy community brought in $2.5 billion in sales and employed close to 20,000 people. USDA is authorized under Section 32 of the Agriculture Act of 1935 to support agricultural producers by purchasing surplus commodities for food banks and nutrition assistance programs, such as the national school lunch program.